The Bürkert resistApp now supports you even better in quickly finding out which materials are compatible with the media used in your application. The Bürkert resistApp is available at our website at each type-detail page and article-detail page. 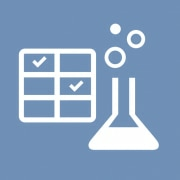 By the way: with our mobile app you can check chemical resistance even offline. Please feel free to rate our app at the App Store. We appreciate your feedback.